Have you been putting off buying a fitness tracker because you’re not sure what to buy? The choices are endless, but Macy’s has popular brands that give you the choice of no-frills basic, rugged and uber-stylish. 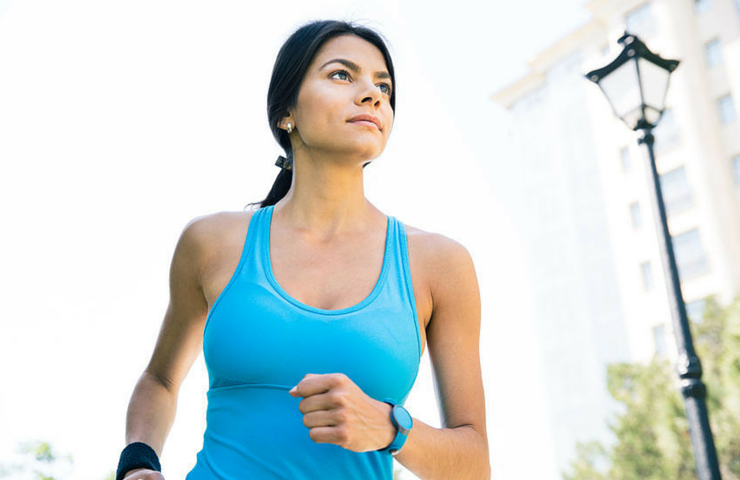 Here are some helpful hints in choosing a fitness tracker that’s right for you. There’s an enormous selection of fitness trackers available on the market. The collection ranges from everyday models starting at about $129 to luxury models topping $2,000. That’s a big difference in price, so understanding the features that are important to you will help to determine what price range you’ll be in. 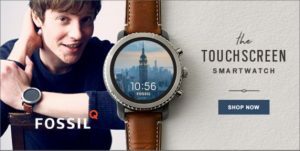 Get the Fossil Q Smartwatch for just $199! The Fitbit Alta classic is a slim model that offers everyday fitness tracking: track steps, distance, calories burned and active minutes, as well as sleep tracking with a vibrating alarm. About $129.99. Need some style? The Fossil Rose Gold Q-Dreamer gives you a fashionable edge. With a rich, rose goldtone face and sand-color leather band, it tracks steps and calories and offers personalized notifications. Android and iOs compatible. About $125. 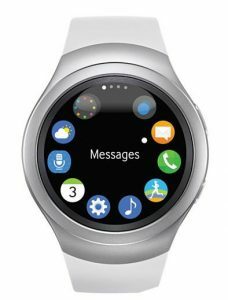 While it’s not a fitness tracker, the Samsung Gear™ S2 Unisex White Strap Smartwatch is compatible with Android devices and features built-in wireless charging. Get your phone call, email, text and social media alerts in style. About $299.99. Fitness tracker looks have evolved quickly in recent years, allowing you to change your band to suit your mood. For a substantial look, the men’s Fitbit Blaze Metal Link Band (also in leather) comes in a masculine stainless steel 1-3/5″ wide. It’s as comfortable and discreet as a wristwatch. About $129.99. How Do You Want to Wear It? Some options are worn on the wrist like a bracelet while others can be clipped on. The clip-on can be discreetly clipped to a waistband or bra strap. Many others prefer the wrist version because they are used to wearing watches and bracelets. Keep in mind: Most clip-on fitness trackers don’t track sleep time or sleep quality. Built-in heart rate monitors will impact the price on your fitness tracker. Most people don’t really need them. Checking your own pulse with a smartphone app is easy and possibly free. Keep in mind: The Fitbit Surge is rated as one of the premier fitness trackers featuring a heart rate monitor. It uses incredibly accurate tracking to monitor calorie burn. Read more about trackers and watches with heart rate monitors here. Do You Want Sleep Tracking? Depending on the tracker you choose, you can track how much you’re rolling around while you’re sleeping, REM cycles, and light and deep sleep cycles. In most cases, the more advanced the sleep tracking is, the more expensive the device will be. Keep in mind: While tracking your sleep is useful and interesting, many people have complained about the trackers being cumbersome and uncomfortable to sleep in. If you would like to get in better shape and count how many steps you take each day, there are plenty of tracker choices to track your every move. Some are waterproof to keep up with swimmers. Still stuck? Choosing a fitness tracker is an investment in your health, so finding the right one is important. If you’ve done your research and still can’t choose, head to Macys.com or a store near you and try them out.